This contest is about finding images or scenes the represent new beginnings. Enter photos that convey to the viewer the idea of a new beginning or fresh start. Second and Third place winners will each receive a $25 gift certificate for inkfarm.com and have their images published on the website. Winners will be announced on the inkfarm blog and Facebook page on January 24th, 2014. There is a limit of three entries per entrant. 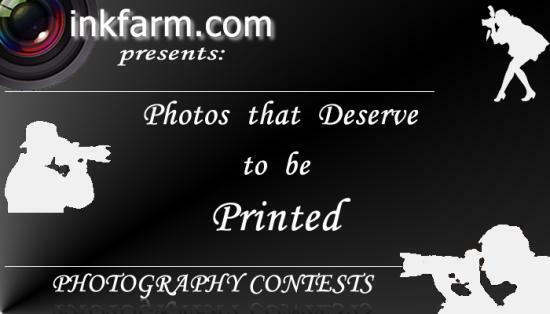 Submit digital photographs by email. Image requirements: JPEG or PNG format; under 5MB in file size.